Optimal Cooling for a Plug-Flow Tubular Reactor. The objective is to maximize the normalized concentration of the desired product. 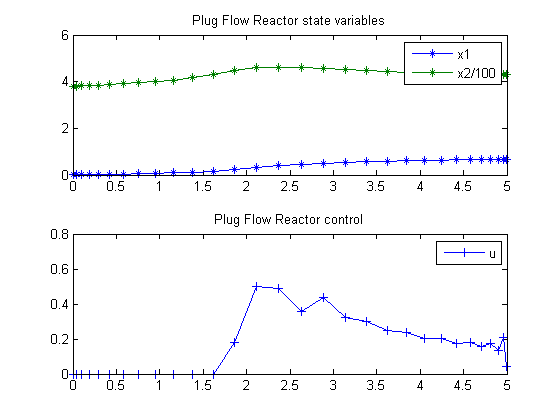 This case study considers a plug-flow reactor as studied by Reddy and Husain, Luus and Mekarapiruk and Luus. The objective is to maximize the normalized concentration of the desired product. CPU time: 2.296875 sec. Elapsed time: 2.313000 sec.